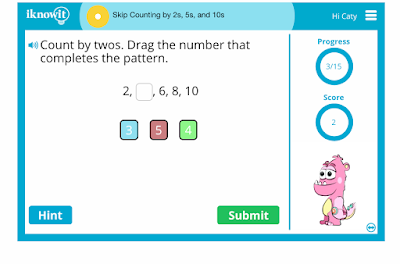 We recently had the opportunity to review a fun online math practice program for kids, I Know It. Caty was able to play on iknowit.com for the past few weeks, and we thought it was a very fun alternative to regular math practice and flashcards. iknowit.com math practice site is from the creators of Super Teacher Worksheets (of which I am a HUGE fan and have had a subscription to for several years now). 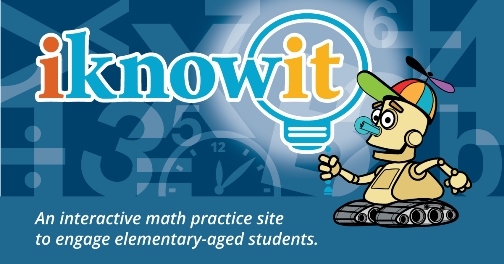 Created for students through grade 5, iknowit.com gives kids a place to work on mastering very important math skills. Caty is the main person using the iknowit.com math program. 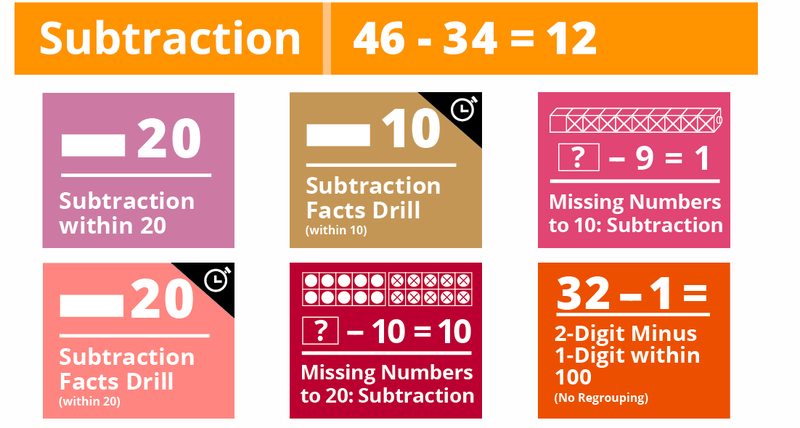 She is struggling with basic math retention, something that we also experienced with our oldest. So I have seen how long it takes him to retain information, and wanted something to help her at a younger age than he was caught at. Iknowit.com has provided a fun way for her to practice toward mastery. 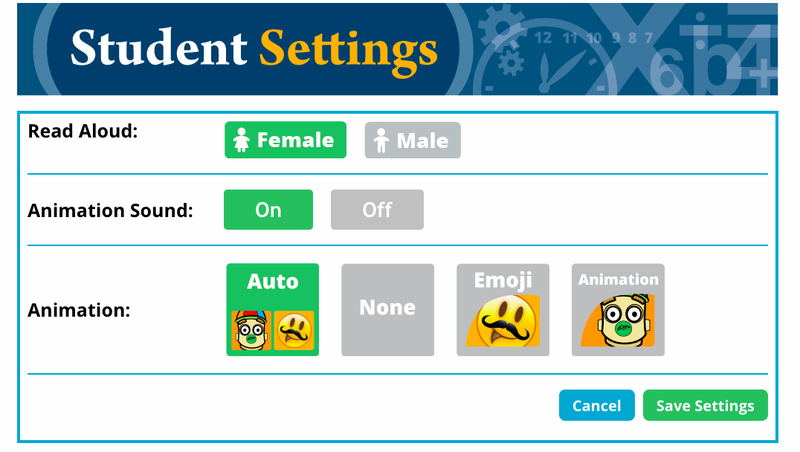 Caty is able to customize her settings, which is a fun side for her. Currently in her main math program, she is working on long digit addition and subtraction without regrouping. She is getting better at it, thanks to extra practice on iknowit.com. I can adjust her grade level as she increases her skills also. 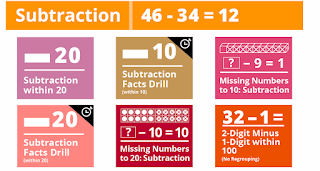 This is great, since we can work one-on-one more in a homeschool environment, I can make those adjustments to help her gain more confidence in her math skills. Iknowit.com Math practice program DOES NOT add much extra to our week. Practice sessions are short and she can see her progress instantly. There's an encouraging little cartoon character that doesn't fully distract her either!! And since she distracts so easily, this is an awesome benefit!! I like that she has the option to have the problems read to her when she needs that little bit of extra help. Her reading skills are on grade level, but sometimes her attention span cannot allow her to actually read a word problem. Or if she does read it herself, she does not understand it. Iknowit.com has the option to have the problems read to her. 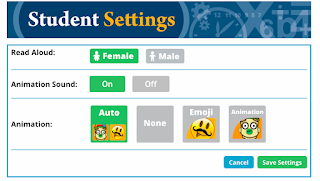 So this option is great for kids with special needs. That is another awesome benefit. Iknowit.com works great with special needs kids. If the child is older, the little cartoons do not make them feel like they are playing in a kids program. Yes it cheers and shows a trophy, but an older kids (say middle school or early high school) could easily use this program to work toward mastery without feeling like it's a big cartoon fest. So they can get needed practice. Currently Caty is using Iknowit.com roughly 2-3 days a week. At first I had her practicing early kindergarten topics just as review. Then she has gradually moved up to practicing missing numbers topics that she is working on in her math. I usually plan her 2-3 full math lessons in her base curriculum, and then we practice in Iknowit.com math 2-3 times a week also. She has been able to use it on her tablet even while out and about. You do need an internet connection on your mobile device, so she either uses my tablet or connects to the internet wherever we are. If you are still not sure, iknowit.com is offering a free trial for families. Simply click on this link to sign up. I know I center a lot on homeschooling, because that is our life. But to those who have kids in public/private/charter schools, iknowit.com is a great option for at home practice. The practice sessions are so short. If your child is not a "worksheet kid", give iknowit.com a look. It may be the answer you have been looking for. And with the above free trial, you can't go wrong with at least giving it a try! 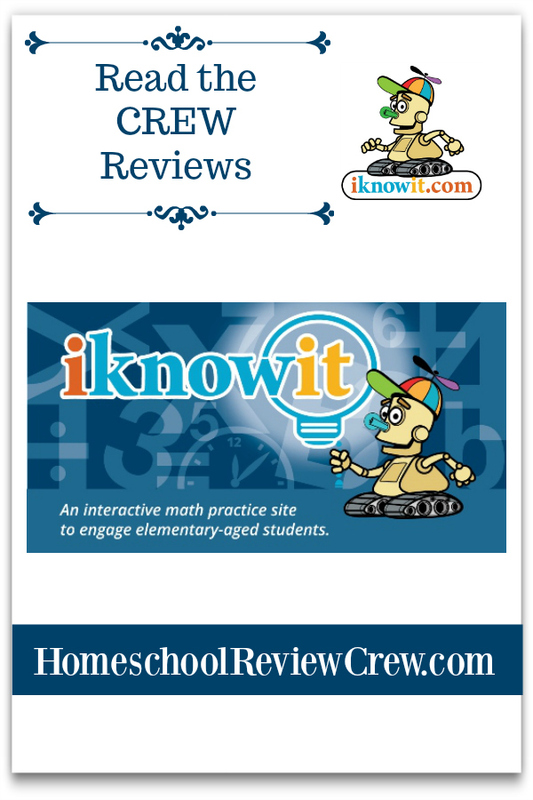 Several families from the Homeschool Review Crew were given the option to try out iknowit.com. Click on the banner below to discover how they felt and used this program in their homes.